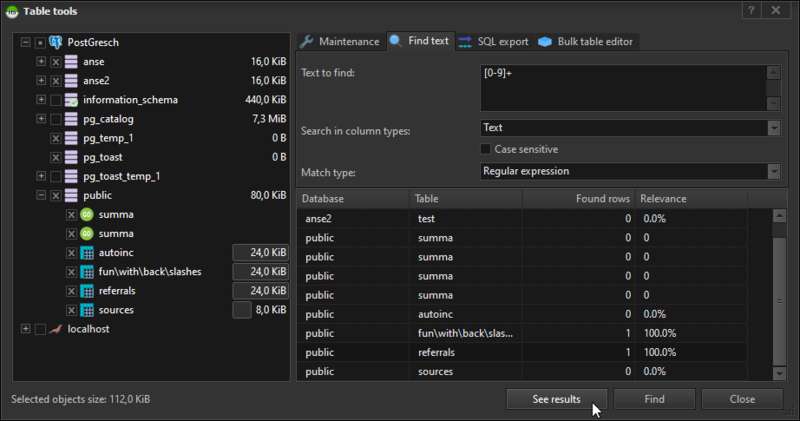 Ever wanted to find a text string in a whole database? Using a nightly build, now you are able to do that, even your whole server can be selected. Just press Ctrl+Shift+F to call the "table tools" dialog. The maintenance dialog was refactored recently to allow different tabs and actions. Probably you have ideas for further tabs here - please post them in our feature tracker! Just learned about that feature. Really nice. Thank you!